Lovely 4 bedroom Eadie & Willcock home, situated on a park like lot in Byron. First time this well cared for home is being offered for sale and is the perfect opportunity to move into one of London's most desirable neighbourhoods. Inviting entrance with Hardwood floors that continue into the living room, kitchen and dining room. Bright eat-in kitchen overlooking spacious main floor family room which features high ceilings and a gas fireplace. 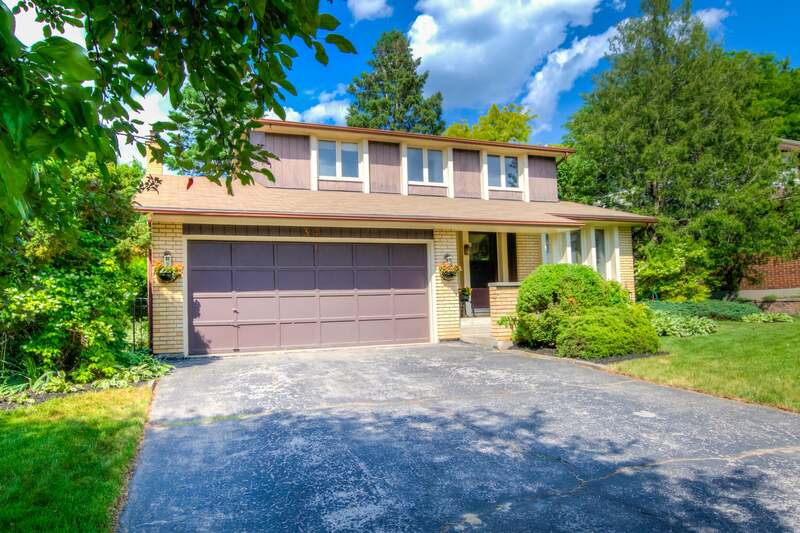 Large terrace doors overlooking majestic trees and lush gardens in the fully fenced backyard. 4 generously sized bedrooms upstairs with hardwood floors. Excellent School District! Conveniently located near Byron Optimist Park, Boler Mountain, Springbank Park and Storybook Gardens. Newer shingles (2016).